Question : When a man realizes the Self, what will he see? 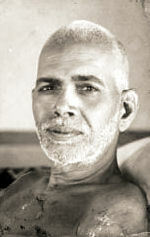 Ramana Maharshi - There is no seeing. Seeing is only being. The state of Self-realization, as we call it, is not attaining something new or reaching some goal which is far away, but simply being that which you always are and which you always have been. All that is needed is that you give up your realization of the not-true as true. All of us are regarding as real that which is not real. We have only to give up this practice on our part. Then we shall realize the Self as the Self; in other words, `Be the Self'. At one stage you will laugh at yourself for trying to discover the Self which is so self-evident. So, what can we say to this question?